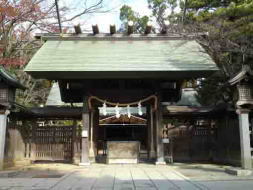 Narita Michi Road that runs through Myoden in Gyotoku tells how crowded the road it was in Edo period. This 63km long Naritamichi Road also called Narita kaido Highway carried millions of people to go pleasure trips in Narita from Edo in Edo period. 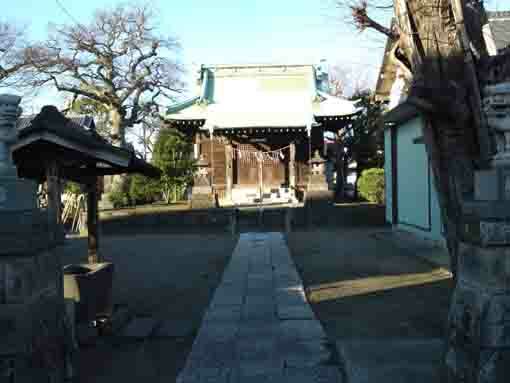 Since the development of transportation system such as trains and vehicles and the completion of Edogawa Drainage Canal have torn the road in Gyotoku area, the definite course of Naritamichi does not exist now, the course was assumed where some temples and shrines in the opposite shore of the drainage are and where the prefectural road called Funabashi Gyotoku line runs. 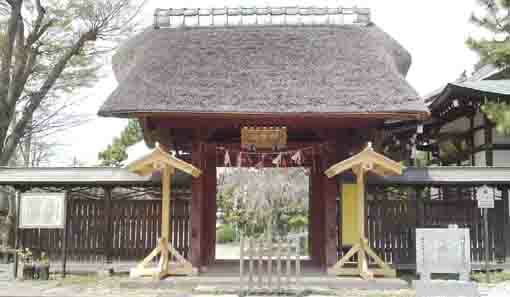 It might pass through the way in front of Ryogokuji, Anyoji, Myogyoji and Fukusenji Temple and join Chibakaido Highway or the 14 National road (Sakurakaido Highway at that time) near Nishi Funagashi Station. 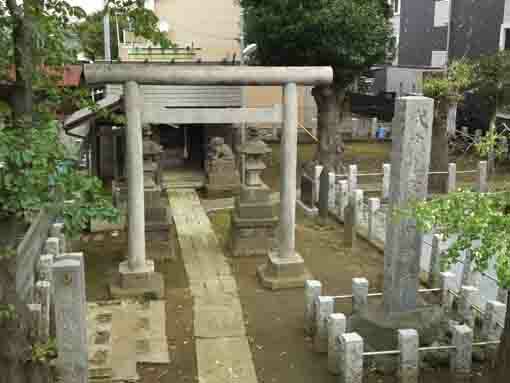 Perhaps Ieyasu Tokugawa would pass Naritamichi Road to go hawking in Togane in Kazusa province, he boarded on at Edo and passed through Onagigawa and Shinkawa River (Funaborigawa River) and landed near Imaibashi Bridge in Gyotoku, then he passed through Gongenmichi Road, Teramachi Street and this Naritamichi Road. 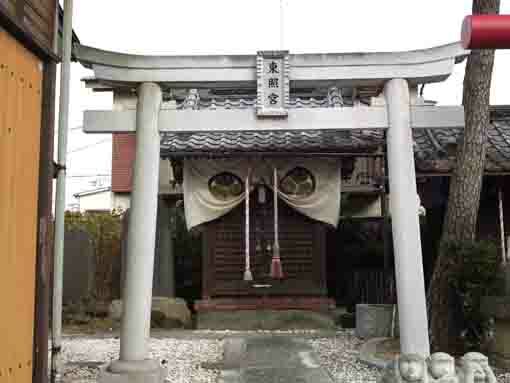 Since the popular Kabuki actor Danjuro Ichikawa the first prayed for Naritasan Shinshoji Temple to have a child and his wishes came true, he got his son, in Genroku Era (1688 - 1703), to visit the temple became popular and they passed through the road so it would be called Naritamichi Road. 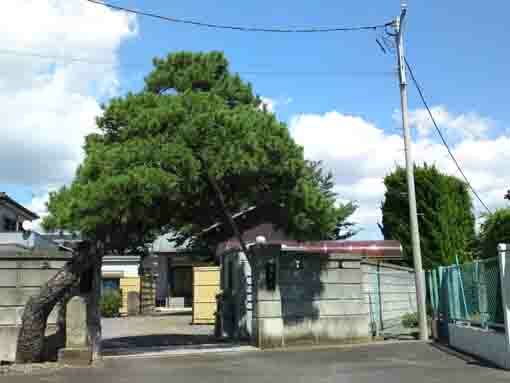 Moreover, many visitors walked to this road to go to Senyoji Temple, the 29th temple of the 33 Pilgrimage in Bando. 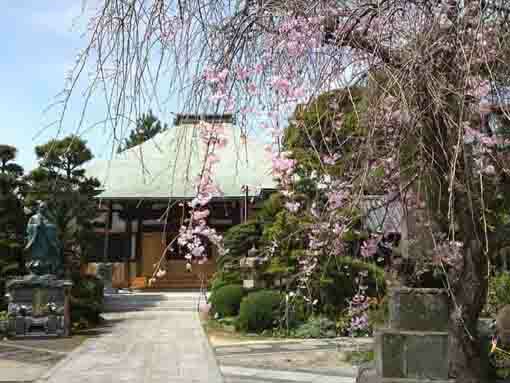 In this page, not only the temples along Naritamichi Road but also the temples on the opposite shore of Edogawa Drainage Canal such as Rogokuji, Anyoji and Myogyoji Temple are introduced. 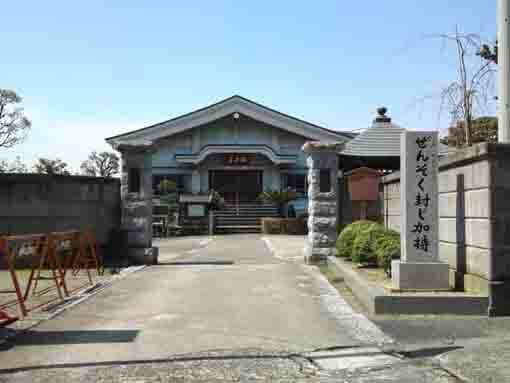 Though Naritamichi Road is only several hundred meters long, there are many beautiful old Japanese style houses and temples along it. Why don't you visit Naritamichi Road? 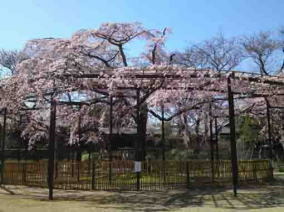 You could find some flavors of Edo if you walk along it carelessly.